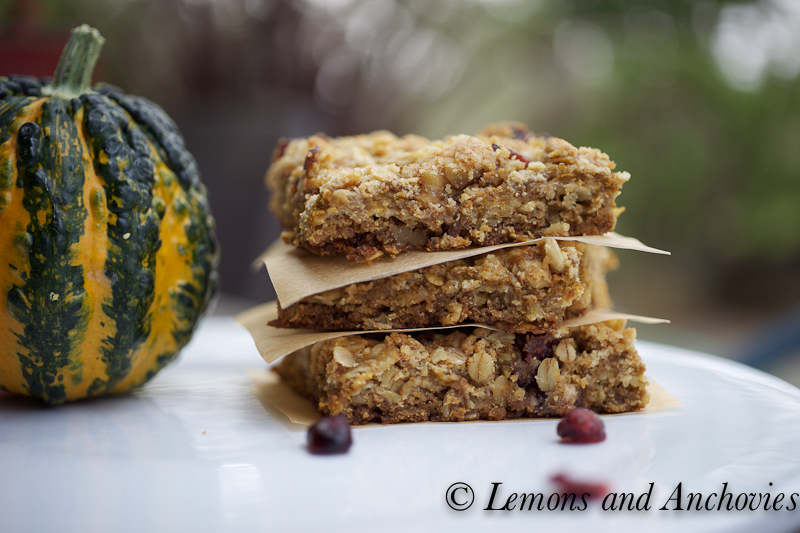 Pumpkin Bars with Cranberry Crumb Topping and My First Giveaway! I will use a random number generator to choose the winner. In your comment, just tell me what you would like to see more (or less) of here at Lemons and Anchovies. More desserts, savory dishes or appetizers? More or less travel posts? I’m all ears (or eyes, in this case). And to make the this giveaway a little sweeter, I’ll add to this giveaway by sending the winner a copy of one of my favorite food-related books. 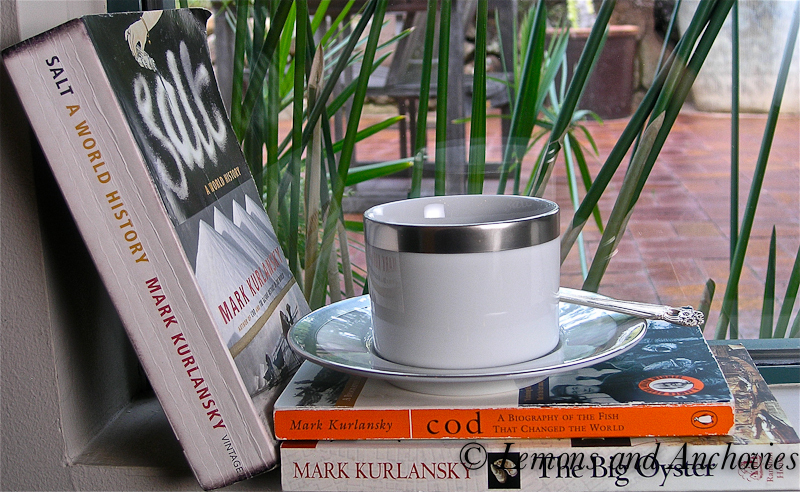 While on a layover in London Heathrow several years ago, my husband picked up Mark Kurlansky’s Salt: A World History. Though not a food enthusiast, my husband is quite the history buff and this book turned out to be a very good read. Mr. Kurlansky offers wonderful insight into the journey of salt, literally, from its status as a trading powerhouse in the early days of civilization to its much-humbled position in commerce today. You will learn how the inventive Chinese used bamboo piping to produce salt. Also, did you know that anchovy sauce (fish sauce) is not strictly an Asian invention? Anchovy sauce was a popular condiment for the 17th century English. And modern-day ketchup? The word is derived from Indonesian fish and soy sauce, kecap ican. Interspersed throughout the book are also 14th – 18 century recipes, from bacalla (salt cod) to sauerkraut and even caviar. This book has everything you will ever want to know about salt and will entertain you along the way. I’ve gifted this book to several foodie friends and it’s been well-received. The only caveat is that I believe the American edition (I’ll be sending via Amazon) is slightly smaller (Cod or Oyster book pictured above) compared to the UK edition we purchased. This picture was taken in April when I originally planned a book review here but never got around to doing. I hope you will enjoy this book as much as I have. And at the risk of sounding like a late-night infomercial…there’s more! I can’t leave you without a sweet treat. I’ve been anxious for a pumpkin dessert for weeks and today’s cold, rainy conditions beckoned me to the kitchen to make these pumpkin crumb bars–perfect for fall. The crumbly crust is a nice contrast against the smooth pumpkin filling. Like many of the desserts I post here, this is not overly sweet. In fact, it’s very subtle. 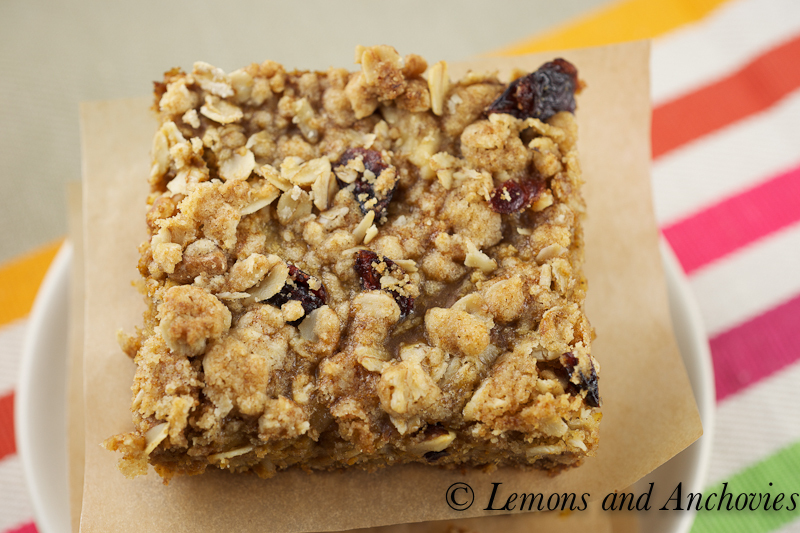 My last-minute addition of dried cranberries to the crumb topping added just the right sweet touch to these mellow bars. My husband has had four of these tonight with a tall glass of milk–I don’t think these will last long in my house. Preheat your oven to 375ºF. Combine the oats, flour, 3/4 cup brown sugar, chopped nuts, salt, baking soda and butter. Beat until the mixture is crumbly. Reserve 1 1/2 cups of the crumb mixture and press onto a buttered 13×9 baking pan. Bake for 10 minutes. For the filling, beat all ingredients until smooth. Pour over the crust and sprinkle the reserved crumb mixture (stir in the dried cranberries if using). Bake for 25 minutes, cool and cut into bars. I would love to see more desserts! The photos of the pumpkin bars are driving me insane. They look so amazing, and my sweet tooth is pretty bad right now. Looks like I have some late night baking ahead of me! More desserts! Without nuts – my stepson is allergic, so I’m always looking for fruity desserts with no nuts required. I’m in love with this Cuisinart Custom 14-Cup Food Processor in Black Chrome – DFP-14BCHN at CSN. Those are some serious pumpkin bars! I’ll take two! As far as what I want to see more of…what about cocktails??? how about some one-person meals? i’m living alone for the first time in my life, having just moved to a new city for a job, and i’m trying to save money while also eating well. as much as i love cooking, i don’t like eating the same leftovers four days in a row to make sure i don’t waste any of the food i’ve made! Yum! Those bars look so great. What a nice giveaway. I’d love to see more savory dishes – so many desserts on foodbuzz (the nutritionist in me coming out..lol). I’d love to see some of your traveling adventures too! Thanks for sharing! What a lovely giveaway! 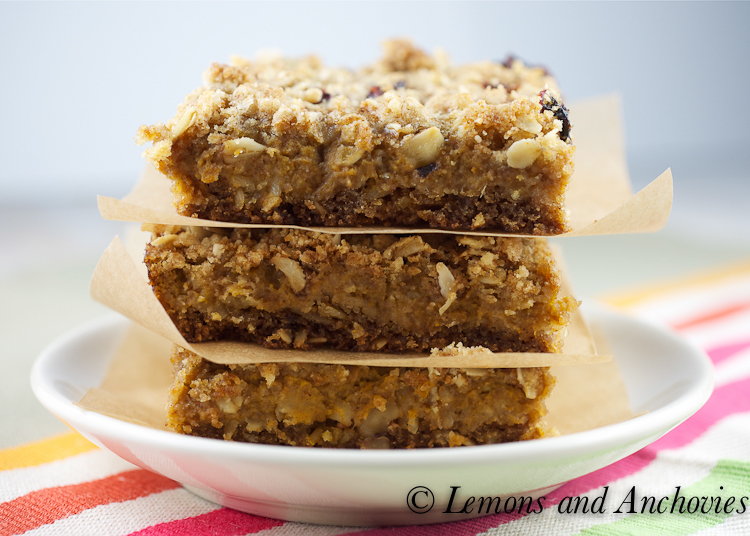 These pumpkin bars look amazing…I love the crumb topping…I could eat that alone. And I’m always in the mood for more dessert. You know I have a sweet tooth. But anything you put up here is always top-quality. Thanks for sharing, as always, and thank you for your kind words. Jean – these bar cookies look DIVINE! Bar cookies are one of my absolute favorite things and these just scream fall! Nicely done! Have a terrific week!!! I would like to see more main dishes. No anchovies though —- eeeeeeuw! Definitely the season for pumpkin bars. Pumpkin purée is one ingredient that’s not easily found here so may need to make a trip to one of the ‘American’ stores for it. We are doing some Halloween treats for our home owners association I may just add these to it. Rapido, I have to go to my gym class…Ah foodbloggers and our weight!! Btw: Thanks for your support and generous comments!! I am always looking for more savory options. Love the blog! Those bars just scream Autumn. I can’t get enough of all of the apple and pumpkin recipes floating around the blogs this time of year. I wouldn’t change your blog at all. It’s a nice balance between sweet and savory and travel. I love the cranberry topping – so well paired with the pumpkin. I am betting I am in the minority but I am a savory type of person. My dessert posts generate more comments so I know the world loves desserts, but I do adore the savory. I just love reading your blog regardless of the topic. BUT, desserts are always great! I hope to win the giveaway. I’m just reaching my pumpkin phase this fall! Love these bars and your photos are fantastic. Your mix of posts is perfect for me…. I love looking at the deserts, but I can only make so many. 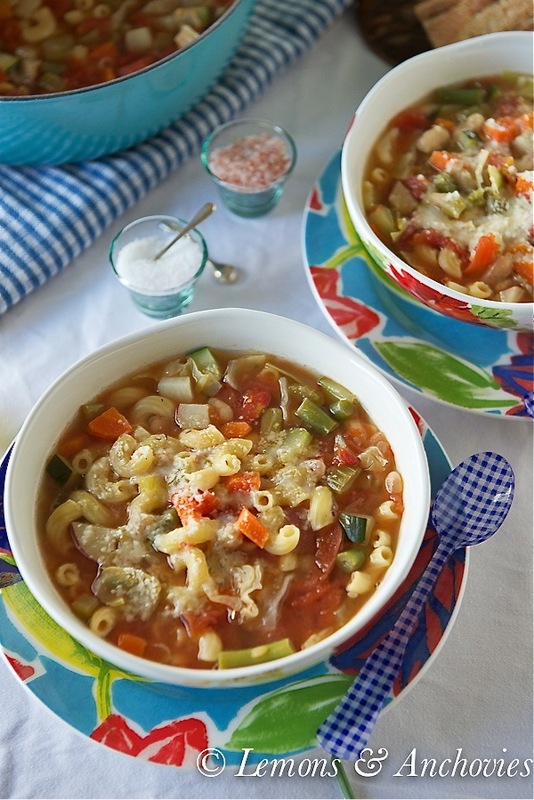 I usually make more of the healthy, savory recipes that I come across. Your bars look great. I would say keep doing what you’re doing. Cook and write about the things you love most. That book sounds so interesting! And these pumpkin bars?! I have one more can of pumpkin right now.. this may make the cut! I’m a fan of everything pumpkin but I can be sold on this idea of the texture from the oats and nuts being a nice crunch against your pumpkin puree, nice photos. LOVE these bars! All these fall posts are making me anxious for Thanksgiving and Christmas. I’d love to see more savory dishes…it seems dessert and sweets are everywhere and good savory dishes are few and far between! 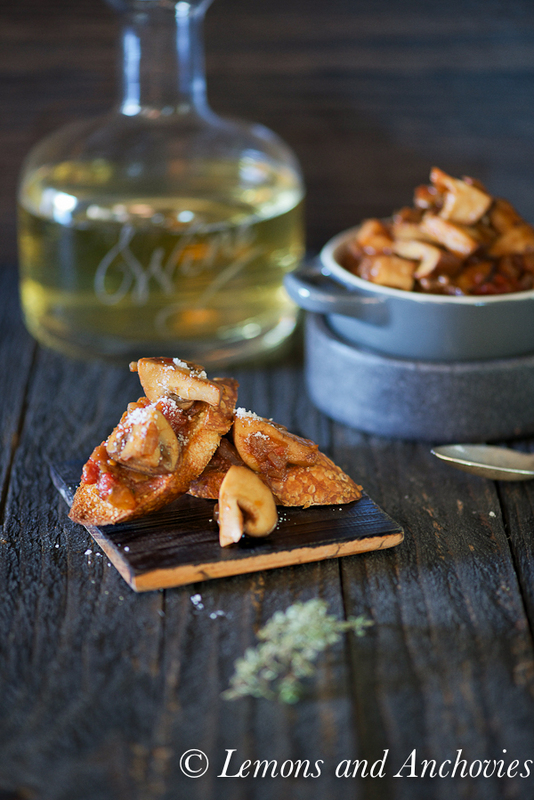 More appetizers….love appetizers more than main course! Definitely more appetizers and finger foods. Holy pumpkin bars, batman, those look so delicious. Yay for giveaways!!! I love your travel posts, Jean! I definitely want to see more of your adventures and the lovely desserts you make like these pumpkin bars…. so tasty!!! And oh by the way, I forgot to thank you for the lovely note you wrote in my blog. Thanks again, Jean!! I love desserts. I would NEVER get tired of more desserts. I think you do a great job with your blog. The mix is you, thats why we keep coming back! Your pumpkin bars look so very very good with that wonderful cranberry topping, I would love a few of those right now! Good luck with your giveaway they are so much fun!! Dessersts!! Keep’em coming! These pumpkin bars look fab.. I always can use more desserts. Thanks for having a great giveaway. no matter what you are going to post I’m coming back to read you and drool just by looking at your pictures. I looove your blog, just the way it is. I enjoy the variety of dishes you’ve presented, from desserts, pasta, salad… I could go on and on. All the food you’ve made so far is right on target with my tastes. In a few of your posts you mentioned dishes that either your mom, or now dad made for you and I would love to see more posts on some of your family dishes, unless of course they are top secret. 🙂 I would totally understand if that were the case. These pumpkin bars look great! I would like to see you make puddings! No one makes pudding any more and I would like to see you do something wild with it,something different to make people interested in pudding again.That sounds weird but hey pudding is awesome! I’m a total sucker for sweets, so bring on the desserts! Actually, you do a very good job of bringing a lot of different recipes to your readers. Keep up the good work! I would love to see more sweets. seasonal dishes and breakfast ideas! thanks for the yummy recipe- i love bar desserts! Awesome looking pumpkin bars, and I’ve seen a few of them on line today. Best wishes for continued success with your blog, I wouldn’t presume to tell you what to share, just keep on sharing what inspires you! It works. I’m also looking for good snack-y foods, so I’d love to see more appetizers! Thanks for a great give-away! Oh man, I’m always a fan of seeing more desserts. Thanks! More main dishes! I am in a dinner-cooking funk and need more ideas. Also, I’ve been wanting to read Salt for ages but just haven’t gotten around to finding it. Looks good! I’d love to see more savory snacks. Thanks for the chance! I’d like to see more vegetable side dishes. I seem to be in a veggie rut. I’d love to see more seasonal salads. This summer I made your pasta salad with arugula and four herbs, and it was delicious! Side note: I’ll be making your chicken asado pretty soon. Very excited. I’d love to see more savory dinner and delicous lunch options! Oh yay, I’m glad to hear that the Salt book is a good read. It’s been on my list for a while but I never seem to get around to it. Now that I actually know someone who liked it, it gets pushed up the queue. Those pumpkin bars look like the perfect fall treat, Jean! One (or multiple) of those and a cup of chai and I’m one happy girl. 🙂 Cheers! Anything with anchovies! Or lemons. Or both. I’m totally making those pumpkin bars this weeend. Love what your’re doing – so just keep up the good work! In the spirit of being helpful, I will add that I am always looking for the latest in desserts, snacks and vegetarian (main dish) foods. I’ve been eyeing that salt book for a long time. Friends of mine have suggested that I get myself a salt lick, like they give to guinea pigs. And that UK edition is pretty awesome looking. So, feedback? Wouldn’t change a thing. I love the mix of of recipes/stories you post. Now that you’ve adjusted picture size, that was the main thing that was nagging me. So how about a vain one: your favicon. I can’t see what it is! I would humbly suggest something that’s more resolvable at that size. These look great! I’m always ears for more vegetarian entrees! I’m an appetizer girl, so more appetizers! How interesting re the ketchup, I always thought Indonesians used the western “ketchup” for their ketchup manis. How wrong was I!!! These bars look amazing, I’m so glad you posted this recipe. I need to go beyond the typical pumpkin pie and expand my horizons in regard to pumpkin desserts. My vote will always be for more desserts, especially of the chocolate variety. 🙂 Thanks! More desserts and appetizers! I have a hard time finding good appetizer ideas, and I always want more dessert ideas!!! I found your beautiful gougeres on Tastespotting and was so happy I stopped in to visit your lovely blog. I’m your latest subscriber. I love savory dishes and try to limit sweets so I would be happy to see more of those. Those pumpkin bars look really good, though! I like all the recipes! And the photos are incredible and very helpful. Oh gosh, Kurlasnsky’s SALT has been sitting on my bookshelf for 7 years unread (among others!). Thank you for reminding me of this great read. I have dusted it off and am now determined to read it. I love your blog as is, but I’m always game for more asian dishes, especially southeast asian cuisines. PS – Regarding your favicon…maybe an icon of one lemon and one fish. Photos are not really ideal for favicons. Do you want me to create it for you? Email me…. Now of course I love desserts, but I would like to see more appetizers! Although whatever it is you have on your blog is absolutely wonderful!!! It all looks so delicious. Those are some seriously good looking pumpkin bars, Jean! 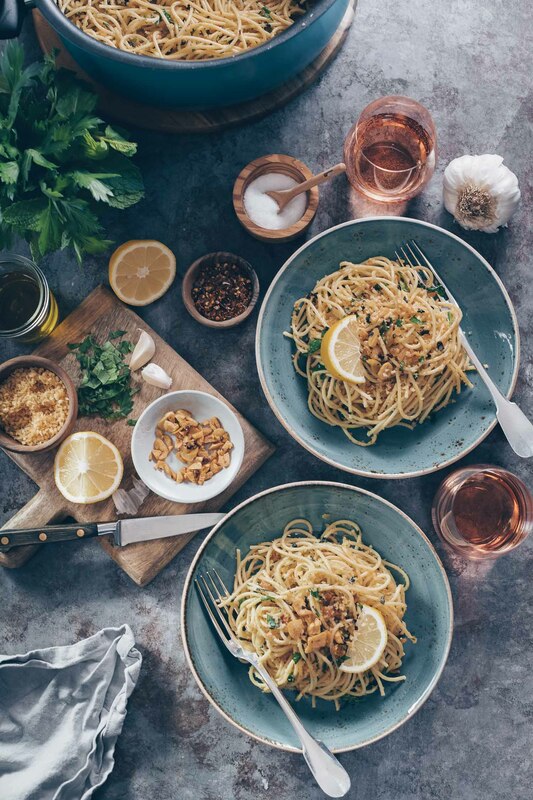 I like your blog just the way it is… maybe more lemon, less anchovies 😉 Seriously, don’t change a thing – see if you’re light in any of the categories above and go from there. I am out of the country for 5 months and do not have my cook books. I needed a recipe for Pumpkin Bars. I looked online, my great resource to find things I need and found your blog, and specifically the picture of your bars. Can’t wait to serve them up this weekend at our Expat party. We are always invited to gatherings that call for appetizers, so I’d like to see some easy, tasty finger foods.